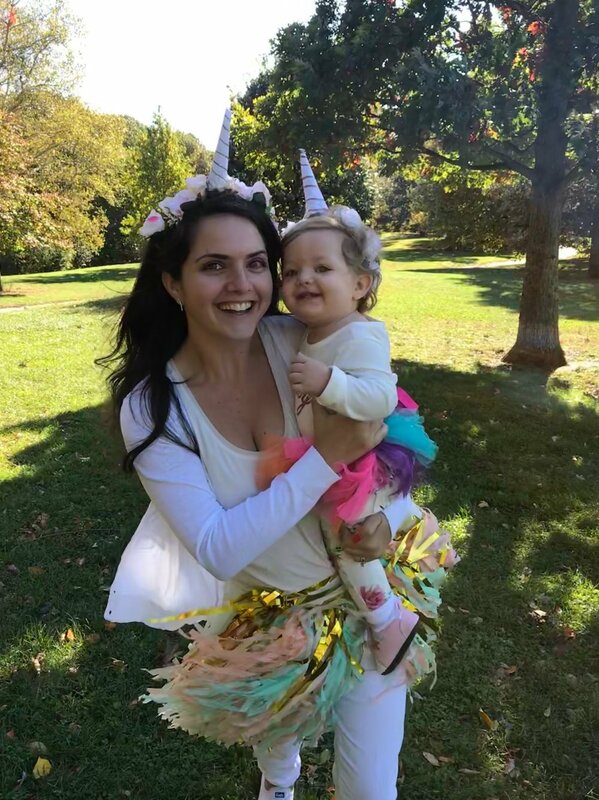 I know this is a few weeks late, but with all of Adina’s first birthday posts, my Halloween post got put on the back burner. It’s not quite Thanksgiving yet so here we go! Better late than never, right? Since Adina was only 5 days old, we laid low for Halloween last year. But I absolutely love playing dress up so I knew we would have fun with it and get into the holiday spirit this year. When brainstorming costumes, I wanted to come up with a matching idea for us and keep it simple. I started by taking stock of what I already owned to see if I could draw any inspiration from our existing items. Someone had gifted a rainbow tutu to Adina and I happened to have two faux flower crown headbands. From these items, my matching unicorn costume idea was born! I wanted this DIY to be fun and easy (and let’s be honest, inexpensive!) Adina is growing so fast, that it didn’t seem worth it to me to buy a costume in her size that we might never use again. I’d like to think I’m pretty crafty. I mean, I don’t make my own clothes or anything, but I can DIY a simple costume. 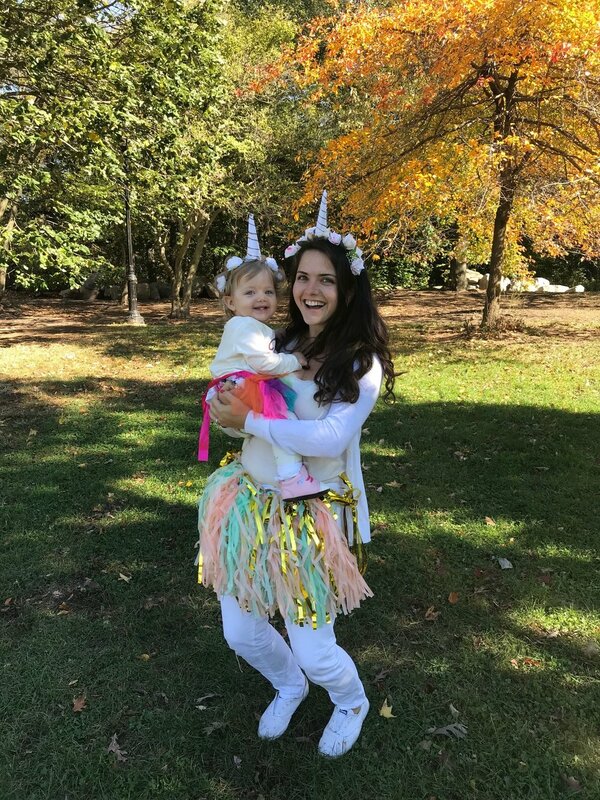 Keep reading to see how my mama-baby unicorn costumes came to life! Cut an empty toilet paper roll in half lengthwise and roll it up into a cone shape. Then secure the roll with clear duct tape. Roll your paper around the cone and make a light pencil mark where the toilet paper roll ends. Cut off excess paper. Using double-sided tape or glue, attach the paper to the roll so it looks like a white cone. Take your gold sharpie (or any other color of your choice) and draw a spiral line around the cone. Finally, attach your horn to your headband using clear duct tape or glue. Pair with a white outfit and a rainbow tutu or rainbow accessories! I am so happy with how the costume turned out! Even happier that I made it using items I already owned! Adina kept the headband on for a long time (she’s used to me putting all kinds of accessories in her hair) and I think we nailed the unicorn look. It was so much fun to walk around and watch the trick-or-treaters go from house to house in our neighborhood. Can’t wait to make more memories in the many matching costumes in our future!